Oxwall software is one of the leading open source social networking content management system (CMS) of 2014, only phpFox and Elgg software comes close to it. Ning has become unnecessarily expensive while the alternative (GROU.PS) is lacking in many features. Social networking sites enthusiasts are left with only open source solutions to have a taste of quality social media sites of their own. Ebenezer previously wrote on top 10 oxwall plugins and revolution theme review. Today, I have decided to feature 7 awesome Oxwall themes that will rock your site better. The revolution Oxwall theme comes with a fixed header, fixed vertical menu and highly customizable layout. The theme is free and has accounted as one of the most downloaded oxwall themes till date. It is available for free at the oxwall theme’s repository. For customization and CSS tweaks, do check out our revolution theme review page linked above. Google Plus Go features a sleek design that’s very much user-friendly and seamlessly adopts the look and feel of G+. The reviews from the users of this template till date has always been positive. The theme goes for $12.99 which is a steal considering the customizable options that comes with it. Facebook Go theme for oxwall is hands down the best of best when it comes to achieving a facebook experience for your community users. 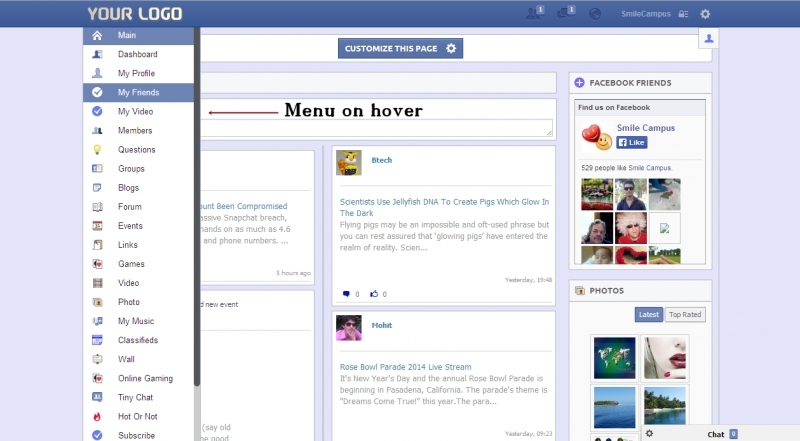 You can simply refer to it as a highly improved version of the popular Facebook Timestyle theme. There is two variation of the Facebook Go theme; the normal and dark version. Both are mobile responsive and sold for $16.99 at the Oxwall’s theme store. Roxbook is another responsive theme that is quite amazing. 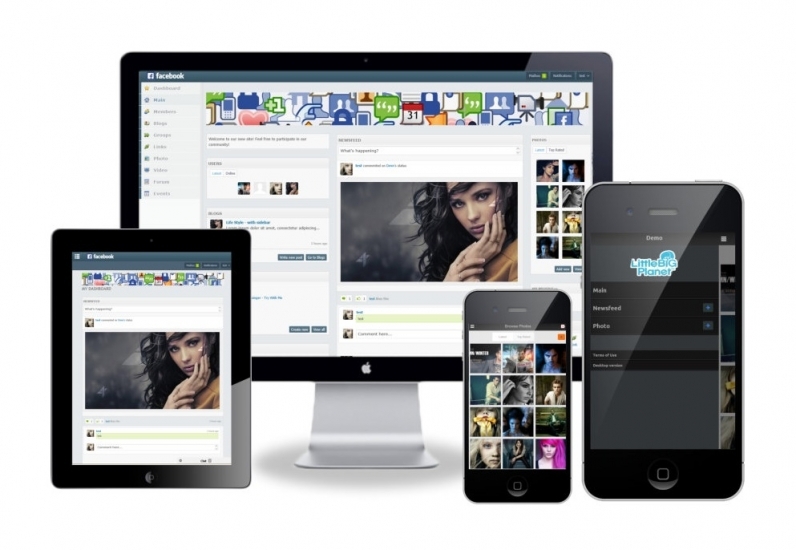 It features a fully responsive design that sits quite well on laptops, tablets, phone and desktop computers. Roxbook theme is crafted by Roxwall who is a top developer at the oxwall site. $19.99 is definitely a great bargain for this awesome piece of work. I have worked for about two clients recently using CleanX responsive theme, they actually gave me one of the best reviews on my fiverr account. 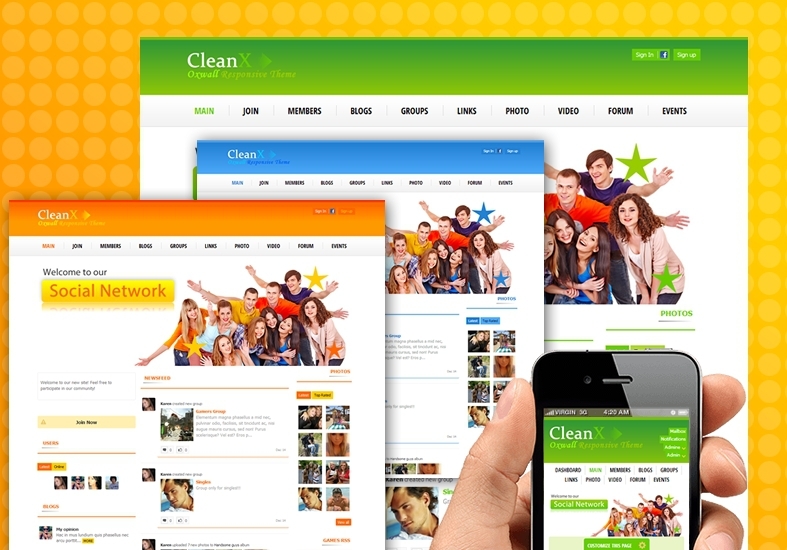 CleanX responsive theme is very easy to customize, comes with 3 different colors (Orange, Blue and Green), fully mobile responsive and has a professional look and feel. It is sold for $19. 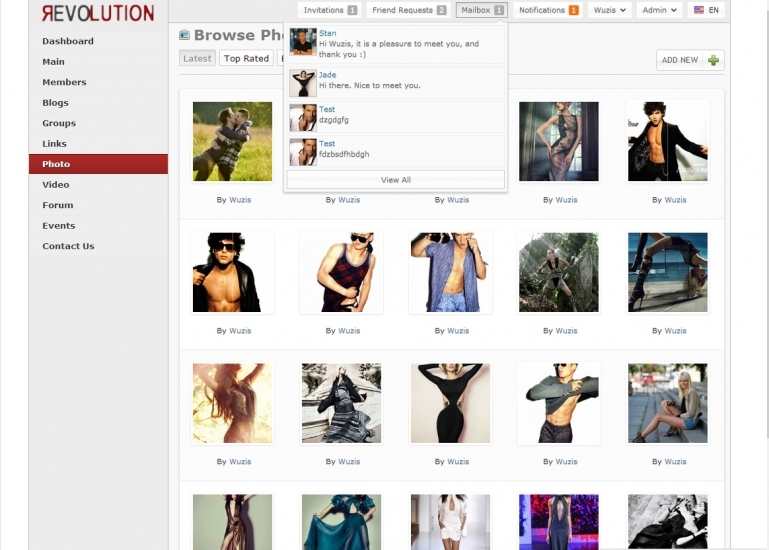 Venus is a perfect theme for adult, dating and interactive websites. It features a very professional look, great feel, sidebar and sleek design. Doesn’t respond to all devices and goes for $9.99 at the Oxwall’s theme store. Facebook Timestyle to me, is just like a cheaper version of Facebook Go theme as it doesn’t respond to mobile devices. The features are quite great for someone who needs a community with the look and feel of facebook. Facebook timestyle is sold for $9.99. 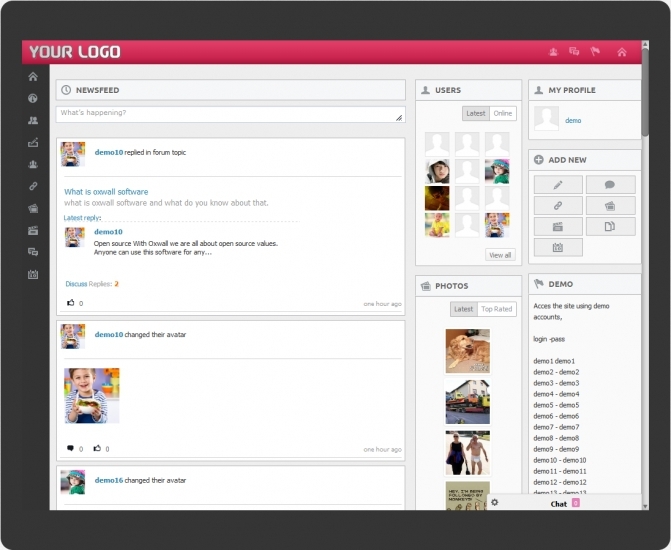 Oxwall Software is a superb open source community content management system with hundreds of developers. With many developers going responsive, great themes like Sigma (http://www.oxwall.org/store/item/400), Nightclubbing (http://www.oxwall.org/store/item/340) and Lifestyle (http://www.oxwall.org/store/item/437) couldn’t make our list of top 7 themes considering they are paid themes. Kindly drop other awesome themes you know below using the comment section.